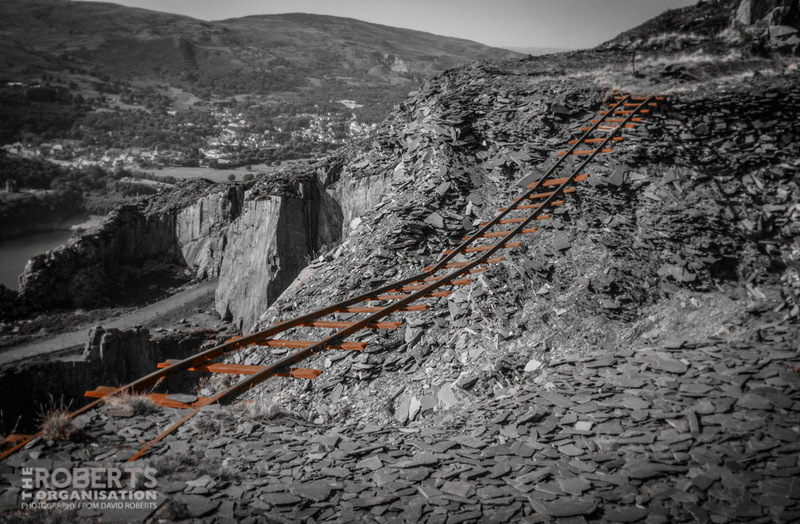 A reworked version of one of my favourite photos of Dinorwig Quarry, that shows a section of the long closed Quarry’s narrow gauge railway line hanging in space following a large landslide. Photo taken in September 2013. 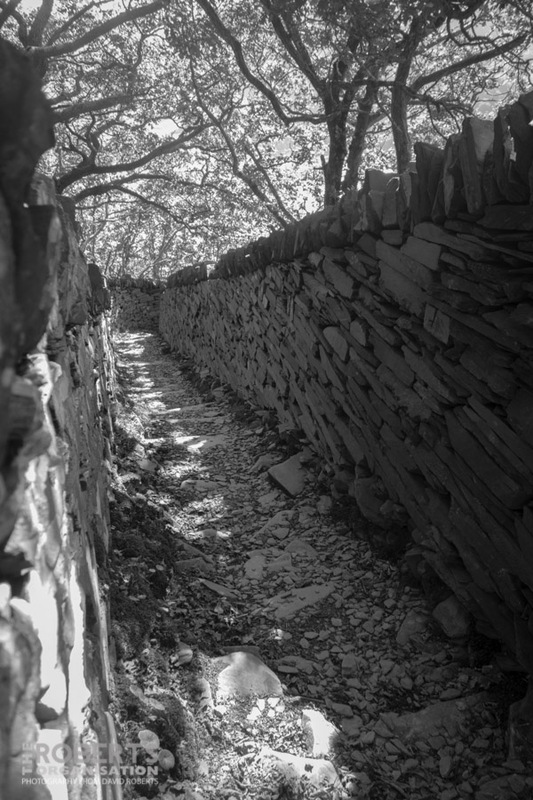 A beautifully constructed Miners Path, leading from the village of Llanberis up to the massive Slate Quarries at Dinorwig. One of the Pattern Rooms at the Gilfach Ddu workshops at Dinorwig Quarry. 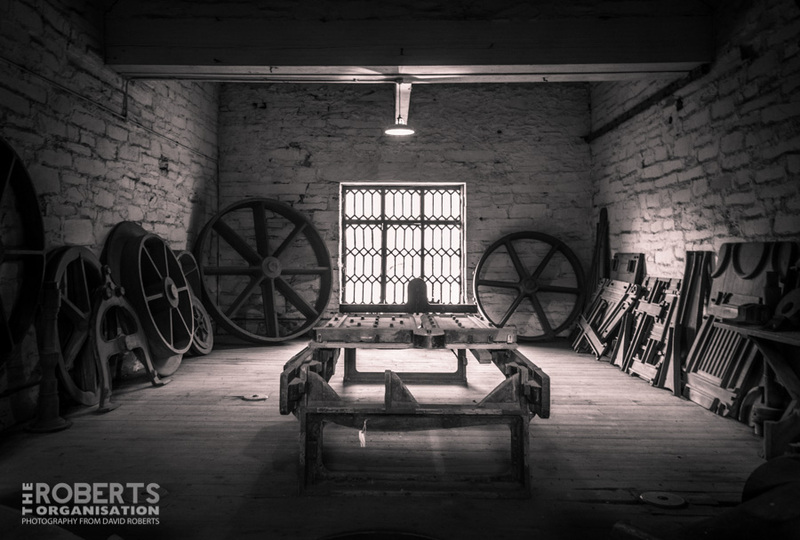 The wooden patterns were used to create a mould in sand for the Foundry to cast the wheel etc. Hundreds of patterns are stored here, enabling the Foundry to create pretty much anything in cast iron. A Winding house at the top of an Incline at the former Dinorwig Slate Quarry at Llanberis. 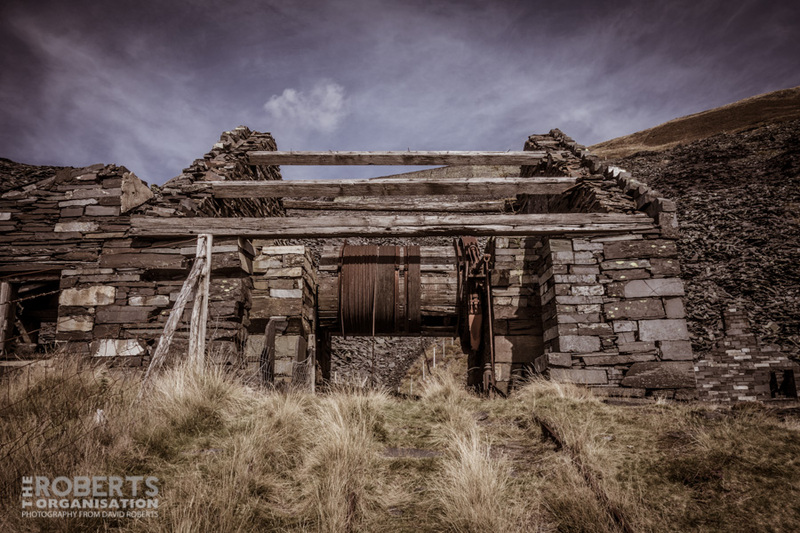 The Winding House was used to haul slate wagons up and down the steep Inclines, in order that the slate be transported from the Quarry face to the Mills where they would be cut and shaped ready for sale. Looking across Llyn Peris to the vast remains of the Dinorwig Slate Quarry. 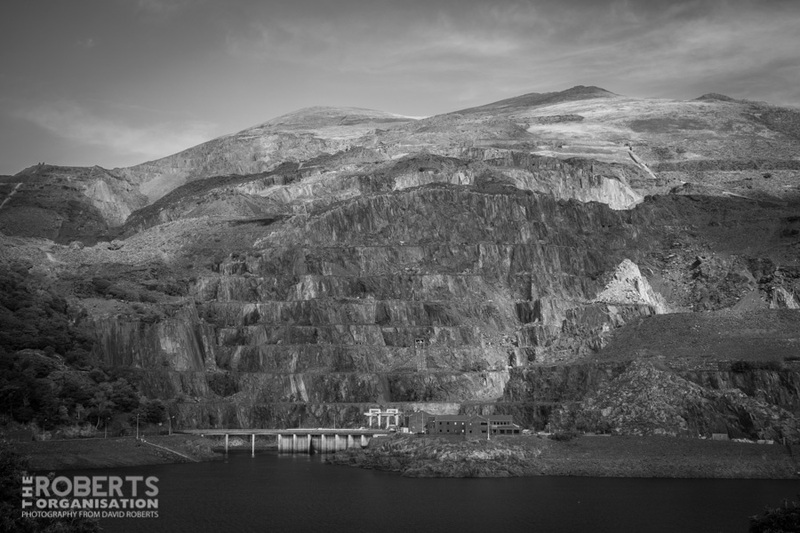 It is a large former slate quarry, now home to the Welsh National Slate Museum, located between the villages of Llanberis and Dinorwig in north Wales. It was the second largest slate quarry in Wales, indeed in the world, after the neighbouring Penrhyn Quarry. It covered more than 700 acres (2.8 km2) consisting of two main quarry sections with 20 galleries in each and a number of ancillary workings. Extensive internal tramway systems connected the quarries using inclines to transport slate between galleries. 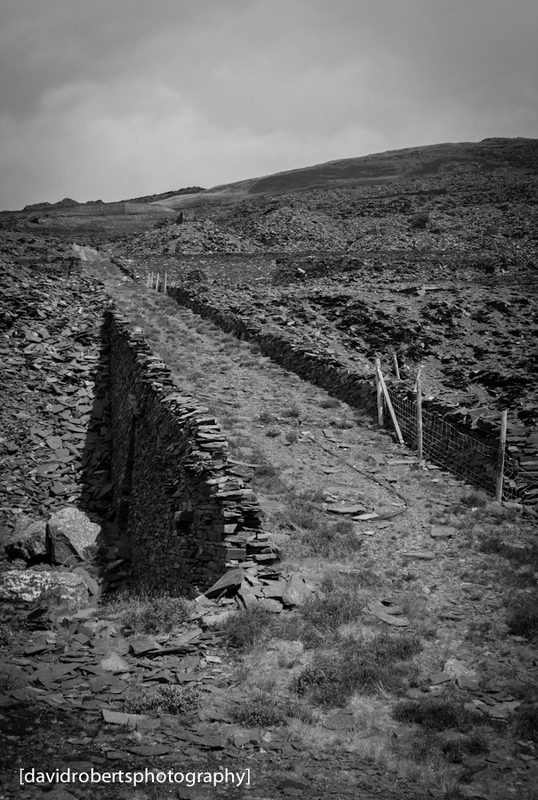 At its peak in the late 19th century, “when it was producing an annual outcome of 100,000 tonnes”, Dinorwic employed over 3,000 men and was the second largest opencast slate producer in the country. Although by 1930 its working employment had dropped to 2,000, it kept a steady production until 1969. 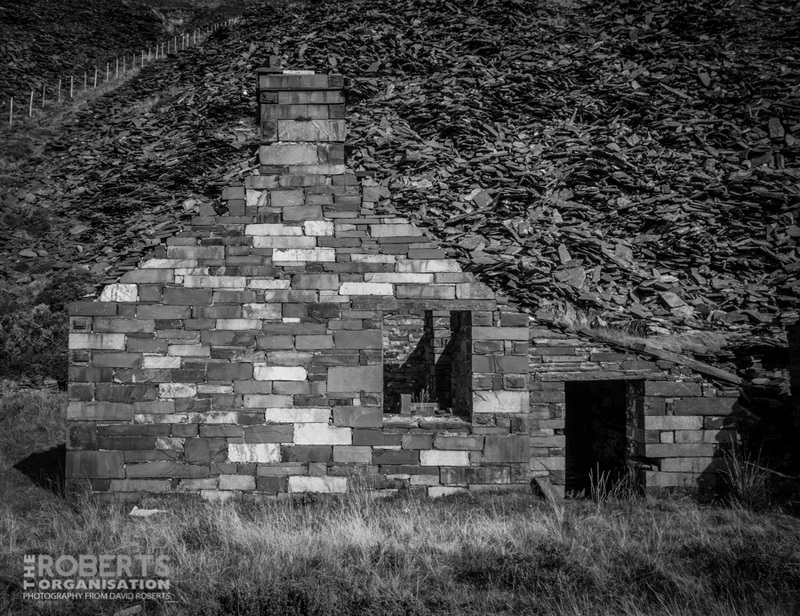 Slate shed high on the Inclines at the former Dinorwig Quarry at Llanberis. Part of the Dinowig Quarry at Llanberis. 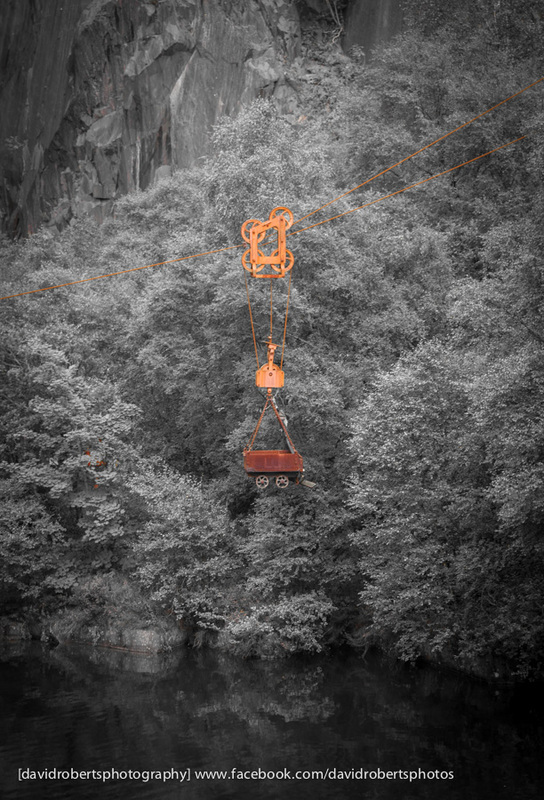 The rusty looking object in the middle of the photo is a Blondin, basically an aerial wire used for transporting slate wagons across the quarry easily – you can see the slate wagon suspended underneath. Incline at the former Dinorwig Slate Quarry. 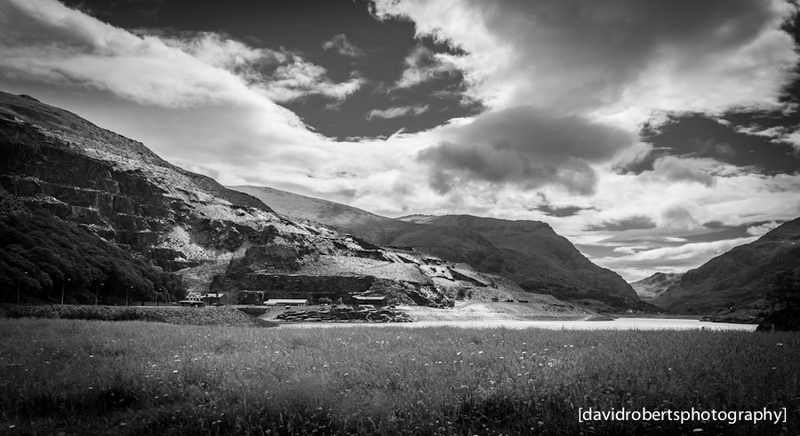 Sunshine & Clouds at Llyn Peris, looking towards the former Dinorwig Slate Quarry. 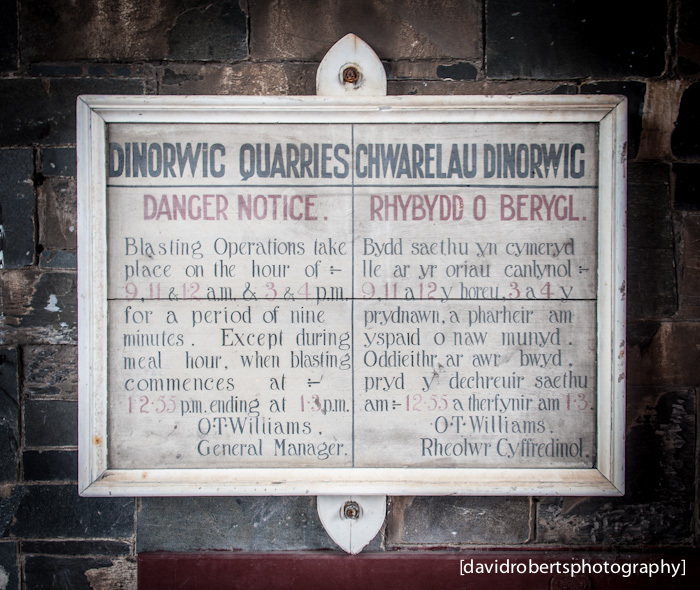 Danger Notice from the former Dinorwic Slate Quarry, now the National Slate Museum in Llanberis.